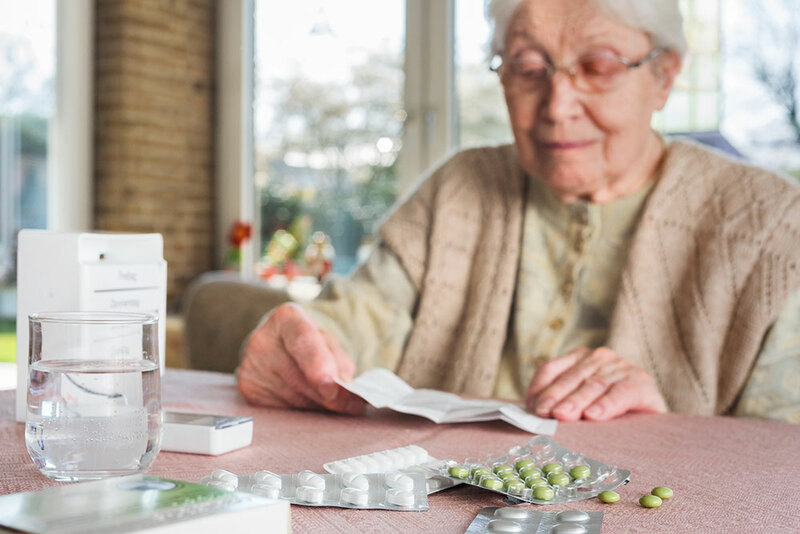 Health Prescription: Are Seniors Getting The Right Medications? We like to think our doctors know best but that may not always be the case. Researchers at the University of British Columbia have released a new study that waives a red flag within the health care community, specifically for those in the field of senior care. It’s warning them to wise up on how medications are prescribed. The UBC study suggests elderly patients in Canada are getting doses of medicine they just don’t need and may also be harming their health. The alarming results became apparent when researchers started to take a look at the National Prescription Drug Utilization Information System – it is the database that keeps track of publicly funded drug prescription claims made within Canada and for this study, data from British Columbia, Alberta, Saskatchewan, Manitoba, Ontario and Prince Edward Island was used as it was the most complete. They tracked the prescriptions filled by patients, 65-years of age or older in 2013 and then compared the drugs they were being prescribed against a list of potentially dangerous medicines as laid out by the American Geriatrics Society in the Beers Criteria. This clinical guide has long been a go to resource for doctors to ensure they don’t prescribe possibly unsuitable and dangerous drugs to their older patients. And the results were discomforting as 37 per cent of Canadian seniors filled at least one prescription that was classified as being inappropriate for patients in their age range. This is obviously a worrisome statistic for seniors and their loved ones but it also affects the country as a whole financially. Because of the unnecessary and preventable burden being placed on our public health care system, it is estimated that about $419-million was wasted that year when the government supplemented or covered the costs of those unneeded drugs. Compounding the fiscal burden even more, it’s believed Canada’s health care system really absorbed closer to $2-billion in costs when you factor in the negative health consequences seniors suffered like dangerous drug interactions and side effects, falls and hospital visits that were required in some circumstances. All this stemmed from inappropriate prescriptions that researchers say is a common and risky practice. Steve Morgan is a UBC professor and the study’s lead author and says “it’s a pattern that needs to be addressed. Doctors are very good at putting patients on new drugs but not so good at stopping by taking patients off of them.” What has been happening in some cases is that doctors have been prescribing their older patients sedatives, stimulants and other potentially hazardous drugs that shouldn’t pose a risk to younger adults but because of metabolism differences as we age, there is much more danger for seniors taking the same drug. The study researchers suggest the Canadian government give serious consideration to creating a national strategy that would provide an outline for doctors on the appropriate use of medicines. Australia did the same thing back in 2010 and the results have been a decrease in drug costs and improved health in vulnerable patients. Another reason behind incorrect prescriptions could be doctors not wanting to step on another doctor’s toes. Morgan says “if they [doctors] are seeing patients who were prescribed these pills by other doctors they feel pressure not to make any changes.” That plays into the serious need for continuing education for doctors, especially those with elderly patients. Having a coordinated, country-wide prescription guideline would significantly reduce the chances of physical harm to patients and reduce strain on the health care system in general. The bottom line is it’s all about communication. Sometimes patients can feel rushed by their doctor during their appointment because there is a waiting room full of people for them to see. Sometimes it is just a matter of feeling confused and embarrassed to ask follow up questions with a physician so it is a good idea to take notes while you are at your appointment. Along with calling for a national drug strategy, the UBC researchers are hoping their findings will quickly open up the dialogue within the health care industry and remove any patient’s fear of speaking up. That means seniors having the confidence to ask more questions about their treatment regime and prescriptions. In the case of patients receiving Alzheimer’s care or dementia care, it’s recommended adult children be part of the discussion with doctors so they know their parent(s) are getting the right medication and the proper doses.